Let’s cruise! Karl Lagerfeld gives us a CHANEL catwalk dripping in gold. 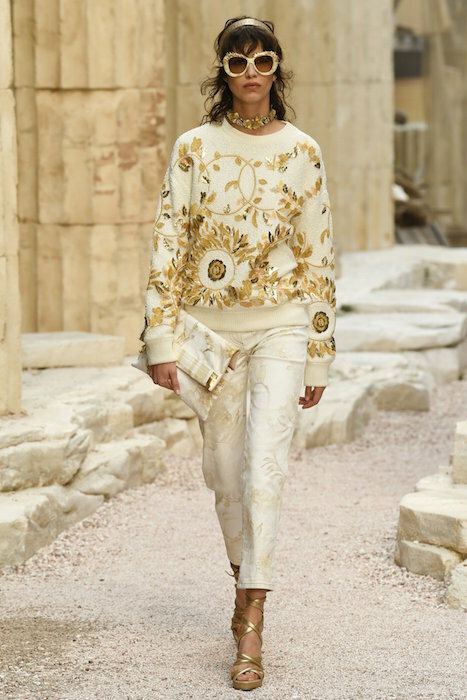 Textural fabulousness aside, the fluid and body conscious silhouettes for CHANEL CRUISE 18 got my attention. Binx Walton + Anna Ewers flaunt the feminine drape with sass, while Mica Arganaraz and Marine Deleeuw deliver the accessories with an edge. 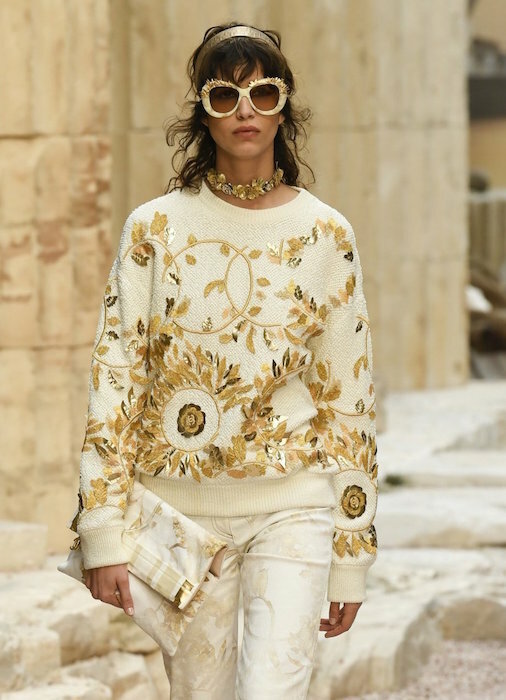 Here are a few of my favorite things from the CHANEL CRUISE ss18 collection. cruising CHANEL GOLD favorites and edits by Brigitte Segura.